The Italian Eurovision 2019 entry “Soldi”, performed by Mahmood has already gone double platinum only one month after its release. The song that Mahmood will be performing at the Eurovision 2019 representing Italy, “Soldi” has achieved going platinum a within a month since it was released. Mahmood seems to be following Francesco Gabbani’s 2017 success, when the Italian act had his song “Occidentali’s Karma”met acceptance reaching double platinum status. This is the first time the Italian act has achieved such result, while his debut album “Gioventu bruciata” was recently released. The official music video on YouTube already more 50 million views, while the number of Spotify streams has reached 31 million. 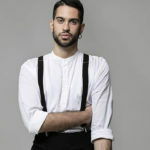 The previous days the Italian Eurvision 2019 representative has stated that his entry will not feature any enlgish explaining that his song is already very European and doesn’t need any big changes or other additions concerning the language. However, on the Eurovision stage next May graghics will be added to its presentation. Mahmood won last month the 69th edition of Sanremo Festival with his song “Soldi” and earned the right to represent Italy at the 64th Eurovision Song Contest According to Mahmood, the story behind “Soldi” is related to his father and the relationship they had. The artist was born in Milano by a mother from Sardinia and his father from Egypt. However his father was abscent from his life since the age of six. 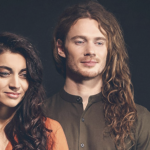 « Norway: NRK decides the introduction of 5 semi finals in Melodi Grand Prix 2020.